Linnet in Oriel: The Comfort of Books. 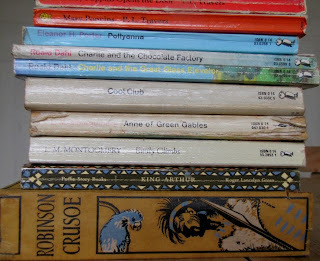 One of my most vivid memories is running home from primary school with my new reading book tucked away safety in my bag. I could not wait to get settled down beside my Grannies fragrant turf fire and devour it from front to back while munching banana on hot buttery toast. 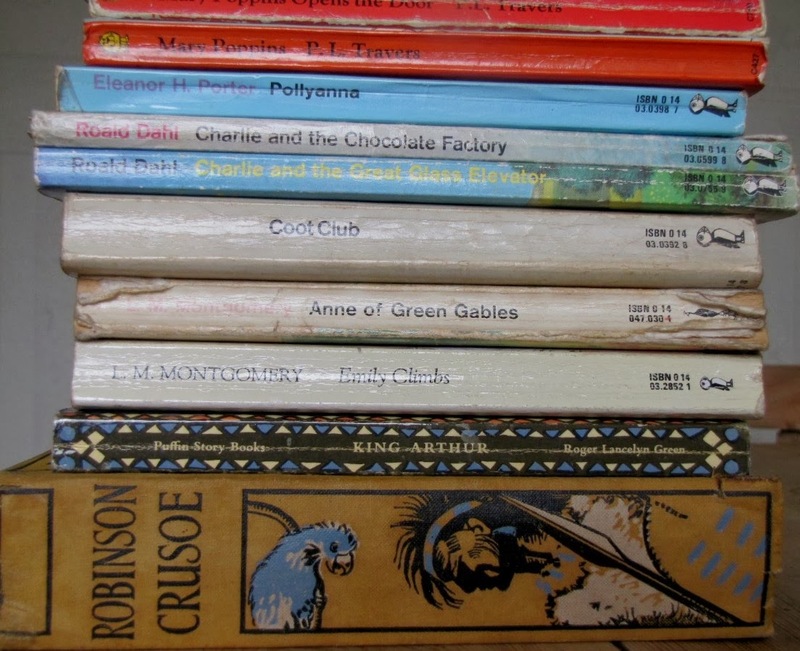 Sometimes there would be an exciting pile of second hand paperbacks that she had gathered for me in one of her favourite charity shops, The Famous Five, Anne of Green Gables, The Treasure Seekers, Nancy Drew, Heidi and Jane Eyre. I lived in these books, they had a vivid cinemagraphic clarity; the characters leaping from the page, beckoning and beguiling. 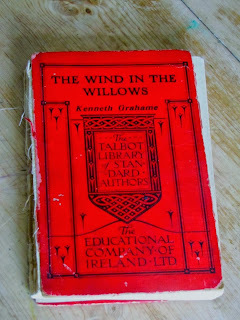 My Dad used to read to us also, at bedtime but I can only remember listening to The Wind in the Willows and The Water Babies. Perhaps I could read on my own quickly because after we would be packed off to bed, lingering summer evenings would be spent squinting in the poor light trying to surreptitiously finish just one more chapter. For ever books have been my comfort, solace and escape, they have kept me alive in bad times and enhanced the good. I have developed a bit of an addiction to their acquisition; great piles totter beside my bed, bookcases groan overloaded, library books long overdue and a stack of shabby boxes still litter my Dad's house waiting to be brought to my house eight years after being left there temporarily while Mr S and I went travelling. Every-now and then I find some more, like the hidden stash of the alcoholic, they emerge into daylight to be re-united with me like some dear old friends from way back. The children have thankfully inherited their mothers passion, we love reading together, Julia Donaldson, Lauren Child, Oliver Jeffers are just some of the brilliant authors that we read over and over again. Oh and the illustrations! I just love buying children's books and seeing their little faces concentrate on a wonderful story. So if ever there was a time for an escape into the world of books, this Halloween was just that time. E came down with the most violent bout of eczema she has ever had, all over her wee self it is. So she has been itchy, sore, grumpy, distraught and listless, the nights have been particularly disturbed and enduring. On the Winnie the Pooh scale of happiness, she says she is only on Eeyore. Sticky buns managed to get to the Piglet level but we have yet to reach Tigger. Steroids, antibiotics, antihistamines and three different creams have not so far manage to diminish the horrible itch/scratch cycle. What else to do but read to try and take our minds of it all, between the pages of 'The Wind in The Willows and in the company of Ratty, Mole, Toad and the formidable Badger. 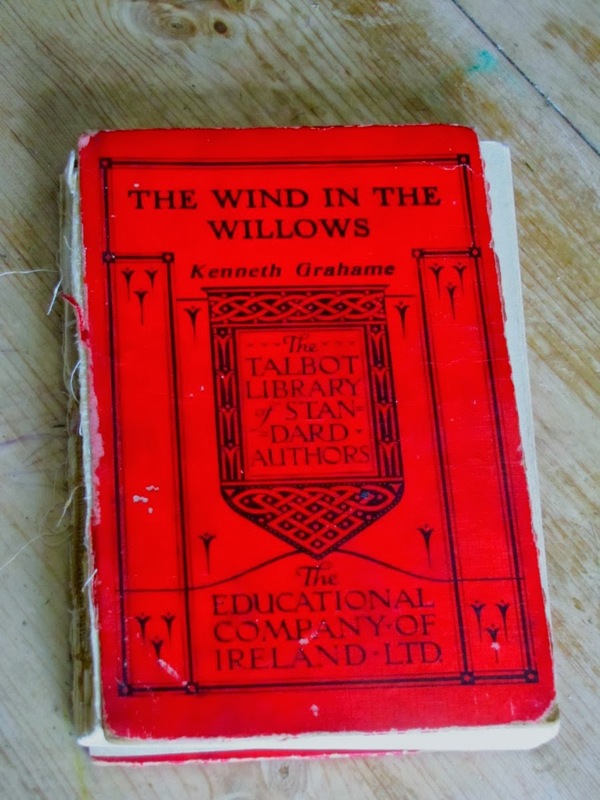 Re-reading the book, it strikes me that while it still stands as a classic of children's literature and is full of excitement and emotive imaginative language, it is in parts a strange little book. The chapters dealing with the exciting exploits of the insufferable Toad (E's favourite) are interlaced with quite contemplative dream-like chapters like 'Piper at the Gates of Dawn' and 'Wayfarers All'. I love the tale of how Ratty gets seduced by the alluring adventuring tales of the Sea-Rat and has to be restrained by the loyal Mole and returned to mental health by poetry. It is a book while slightly antiquated and tells of a disappeared or even imagined English pastoral idyll, can on return be read on a number of different levels.